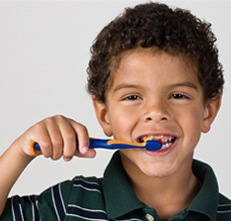 This oral health program takes a multi-pronged approach to address oral health disparities in Minnesota, including policy, systems, and environmental changes to support healthy behavior as well as community-clinical linkages to provide residents with oral health care. Healthy People 2020 (HP2020) provides a national framework with benchmarks that can assist States in efforts to achieve optimal health for the Nation. For the first time, Healthy People 2020 included an oral health indicator in the set of 26 Leading Health Indicators. Minnesota’s Oral Health Program (OHP) is one that has planned and implemented activities and interventions to achieve progress toward the Healthy People Oral Health Leading Health Indicator and benchmarks for the Nation. Although largely preventable, oral disease affects many children and adults in Minnesota. In 2010, 55% of third graders experienced dental decay, while 18% of third graders had untreated cavities.1 In order to make progress toward the Leading Health Indicator, Minnesota has been looking at ways to promote and improve rates for dental visits as measured in the 2012 Behavioral Risk Factor Surveillance System (BRFSS), which shows high access rates in general but deep disparities when analyzed by social determinants of health. To address disparities in oral health in their State, the Minnesota Department of Health (MDH), through a cooperative agreement with the Centers for Disease Control and Prevention (CDC), established the OHP and developed a State oral health plan to provide a blueprint for improving oral health in Minnesota. Beginning in 2009, MDH worked with many key partners to develop the State’s first Minnesota Oral Health Plan 2013–2018: Advancing Optimal Oral Health for All Minnesotans, which includes the Healthy People 2020 Oral Health Leading Health Indicator as one of the key measures to assess success of the plan. OHP has taken a multi-pronged approach to address oral health disparities in Minnesota, including policy, systems, and environmental changes to support healthy behavior, as well as community-clinical linkages to provide residents with oral health care. Examples of policy and systems changes implemented by OHP include a recommendation in the State Early and Periodic Screening, Diagnosis, and Treatment (EPSDT) program that children have a dental home by age one; creation of a task force and policy initiative on pre-entrance school screening or examinations; efforts to reduce consumption of sugar-sweetened beverages; advocating for employers to cover dental insurance; and grants to communities to upgrade water fluoridation equipment. Community-clinical linkages include mobile and portable dental services, workforce initiatives such as the Early Decision Rural Dentistry Track Program funded by the Health Resources and Services Administration (HRSA), rural dental rotations at a Federally qualified health center (FQHC), and school-based sealant programs. In particular, OHP, in collaboration with the Delta Dental of Minnesota Foundation (DDMF), created smiles@school, a public/private collaboration through which the 2 organizations have administered grants to initiate or expand school-based sealant programs in high-risk schools where 50% or more of students are eligible for free and reduced price meals. In addition, MDH provides administrative support and technical assistance to school-based sealant programs through webinars, training, and guidance on educational materials, evaluation, and data analysis. Through MDH’s efforts, school-based sealant programs were offered in 85 high-risk schools and 64 moderate- or low-risk schools between November 2013 and July 2014. Through these programs, staff screened 6,392 children and applied sealants to 36% of children. Because of smiles@school, children at an additional 25% of high-risk public elementary schools in Minnesota received care through school- based sealant programs. Currently, the State is conducting its second statewide Basic Screening Survey (BSS), which will provide information on the outcomes of strategies being utilized by the oral health program to improve health. The Oral Health Program is part of the Center for Health Promotion at the Minnesota Department of Health. This public health program works to build the infrastructure and capacity of oral health within Minnesota.